Night 1(Friday ): 20h00 Pick you up at your hotel in Hanoi. Transfer to Hanoi railway station for a night train at 21h15 to Lao Cai. Overnight trip to Lao Cai in sharing comfortable sleeping compartments of Tourist carriage (2 lower & 2 upper berths per compartment) on the train. 6h00: Arrive at Lao Cai railway station where the driver is waiting to drive you along the exciting curvy road, surrounded by steep mountains and rice fields on terraces to Sapa. Have breakfast and trekking to visit some minority villages: Lao Chai – Ta Van. You will see some different minority people H’Mong, Zay, Dao… dressed in the traditional style that is unique to the Northern region. Experience the daily lives of minority people to understand better their culture and customs. Picnic lunch. PM: Come back to hotel by motorbike or jeep. Overnight at hotel in Sapa. AM: After breakfast, Take a tour bus go to Bac Ha, affter 3 hours on the bus you will arrive Bac Ha market. Free visit market ( Bac Ha market open on Sunday morning only). 12h00 short trekk to visit Bac Ha village. PM: 15h00. Take the bus go back to railway station for night train to Hanoi. The train arrives at Hanoi Station at around 5:00 am in the next morning. .Tour ends. Included: Breakfast, entrance fees, tour guide, tranfer, mini bus tranfer Sapa – Bac Ha – Lao Cai, Train ticket Lao Cai – Hanoi, lunch. 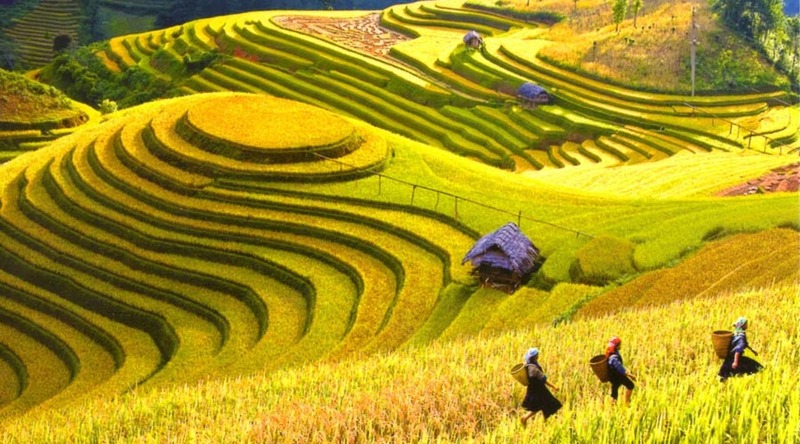 Tour Cost includes: – Shuttle bus transfer Lao Cai – Sapa – Transport by private Jeep or van as tour program.